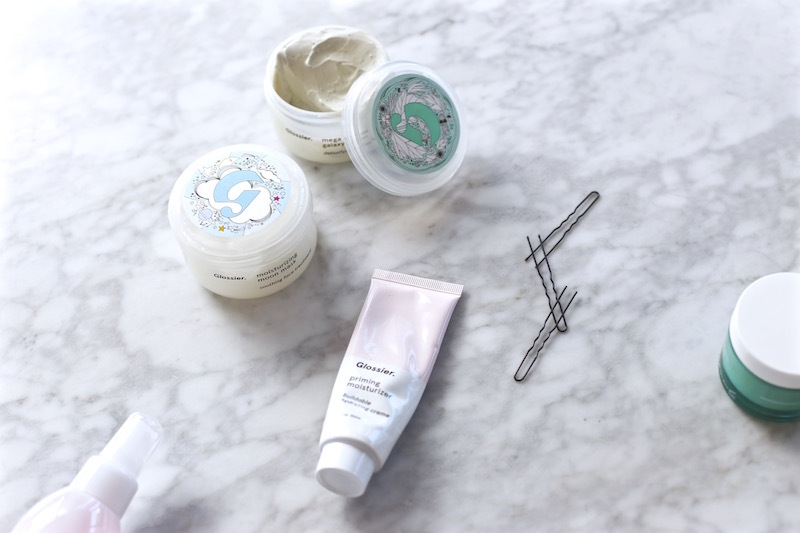 I have fairly dry skin, so when I’m in need of some intense hydration, I apply Glossier’s Moisturizing Moon Mask. It gives my face that “ahhhhh” feeling. After 20 minutes my skin is plumper, less tight, and extra hydrated. I’ve also been using the Mega Greens Galaxy Pack. Glossier calls it a juice cleanse for your face and I agree. It’s a kind a clay mask that detoxifies and draws out oils. Because my skin is on the dryer side, I’ve been using it sparingly when I feel like I need an extra refresh or I feel a blemish coming on. 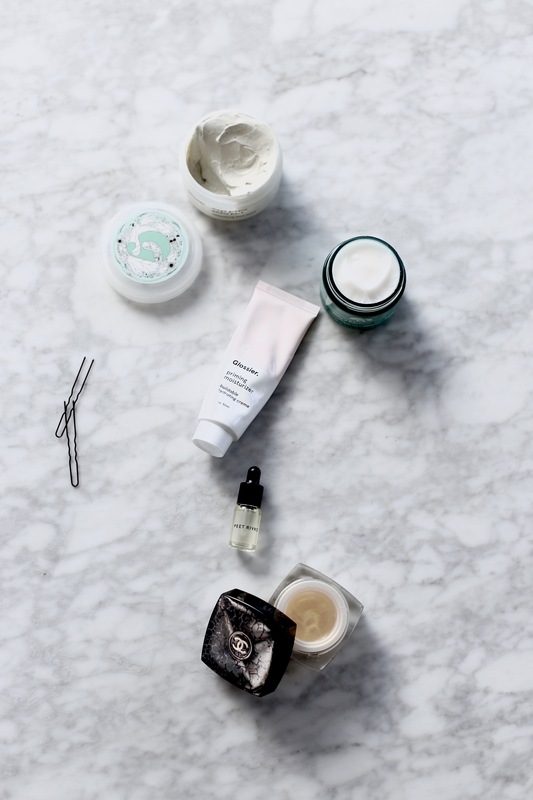 Glossier’s Priming Moisturizer is a real favorite. It’s light, yet creamy and just feels like it works. 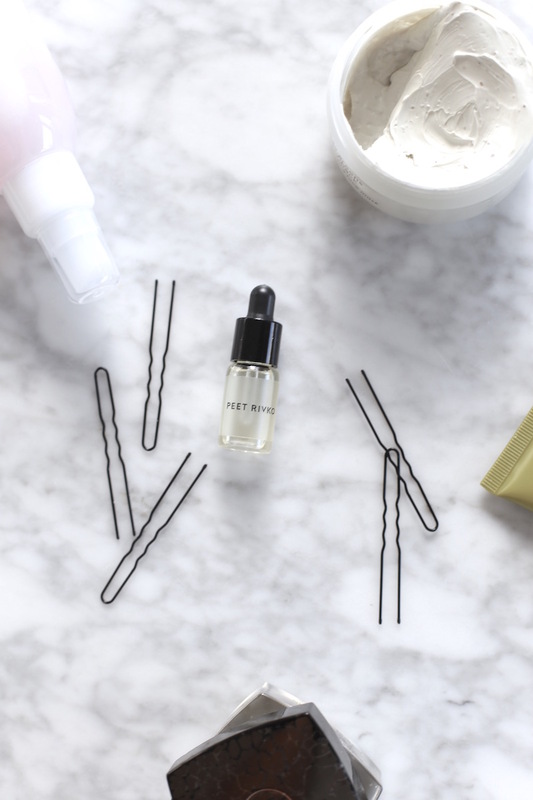 Plus, its the perfect size to toss in my carry on for all my jetset moments. I have dark under eye circles that can make me look tired even when I’m not. Chanel’s Sublimage La Creme Yeux Ultimate Regeneration Eye Cream gives a bit of life to my under eyes. The effect is subtle, but instant and anti-aging ingredients are killer. 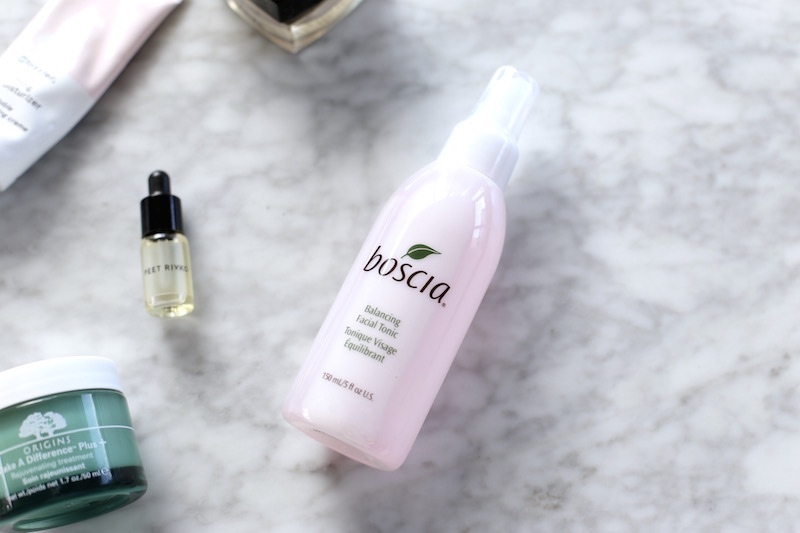 BOSCIA Balancing Facial Tonic is my morning thirst quencher. I love to spritz it on my face and neck right after I hop out of the shower. It’s meant to banish impurities that you might miss when cleansing and give an extra step in preventing dehydration, but I mostly just love the luxurious feeling of misting it on each morning. 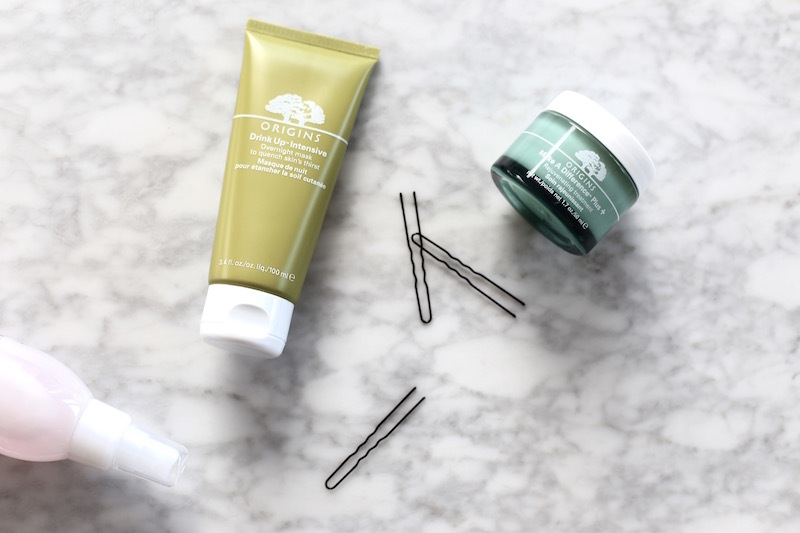 Peet Rivko is a very cool skincare line that a friend of mine from business school and her facialist are launching this summer. They swear by this balancing face oil, and now so do I. I apply just a few drops on my finger tips and then tap them across my face. I follow it up by gently rubbing in a moisturizer which ensures the oil also gets spread evenly on my skin. ORIGINS Make A Difference Plus + Rejuvenating Treatment is another moisturizer that I’m loving to apply day and night when I’m not using the one from Glossier. The texture has a cooling gel effect that feels oh so good on my tired face in the morning and equally soothes my skin before sleep. 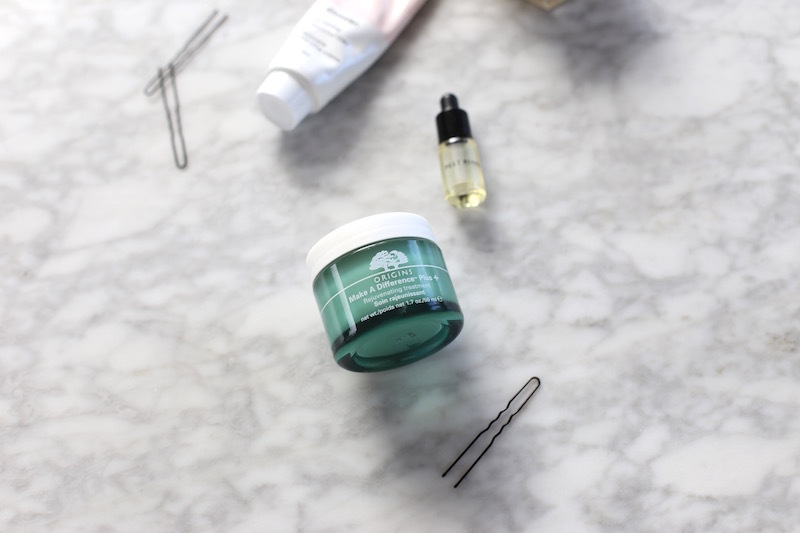 The Drink Up Intensive Overnight Mask from Origins is also a favorite. First of all, it smells AMAZING. My boyfriend can’t help but comment each time I wear it to bed that I smell like mangos, and then scoot a bit closer to me. I also love that the mask is transparent and there’s nothing to peel off. Just let your skin soak it up through the night and rinse your face in the morning. I’m gonna have to try these!! Thanks for the recommendation!